In the company of cheetahs! The Kruger is always full of surprises. We thought we’d take a leisurely drive along the Shingwedzi River this afternoon,our last of this trip, not expecting to see much more than herds of elephants, buffalo, giraffe, antelope, and so on. And then, coming around a corner we unexpectedly found ourselves in the company of a mother cheetah with her four almost-grownup cubs. Isn’t this just the best place on earth!? 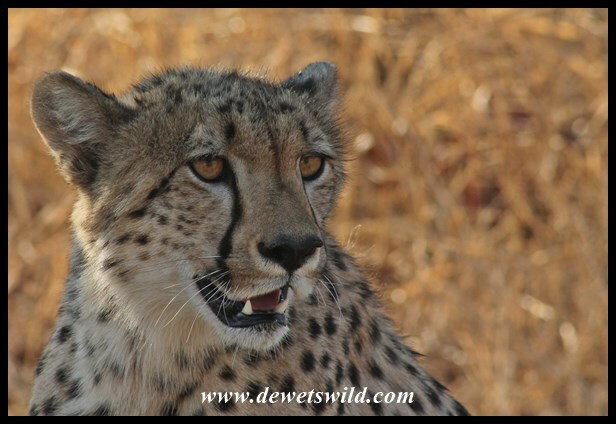 This entry was posted in Kruger National Park, Limpopo Province and tagged cheetahs, Kruger National Park, Shingwedzi Rest Camp on September 27, 2014 by de Wets Wild. Mens raak nooit moeg vir jou foto’s nie! Oh it is. It IS. And thank you for letting us see some of it !!! Thanks for allowing us the time to share our love for Kruger with you, M-R! So beautiful. No wonder you love it.